A pregnant mother has fired a young photographer after learning that she is gay. Faith Grace, from Mobile, Alabama, had been hired to shoot maternity photos for a woman named McKenna. However, after spotting an LGBT pride flag on Grace’s personal Instagram account, the mother-of-one explained that she no longer wished to work with her in a text. 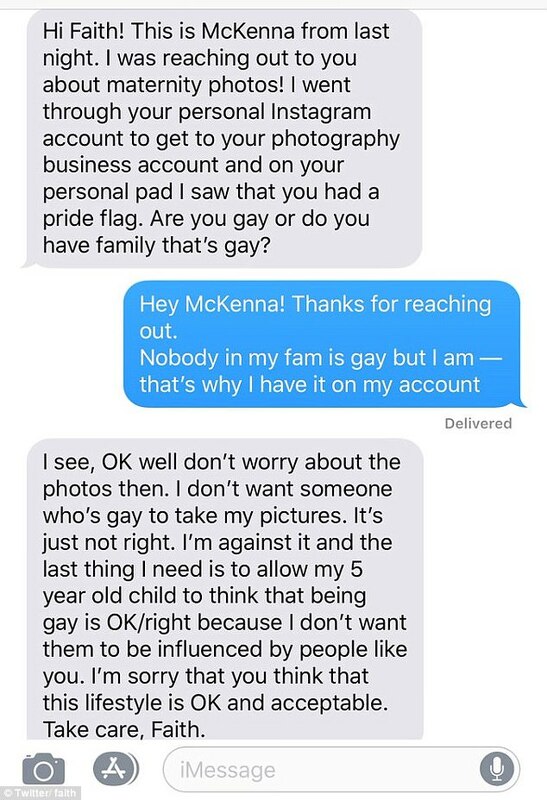 After meeting Grace the previous evening, McKenna wrote: “I went through your personal Instagram account to get to your photography business account and on your personal pad I saw that you had a pride flag. The mother’s immediate response was that she’d no longer like Grace to take her photographs due to her sexual orientation. 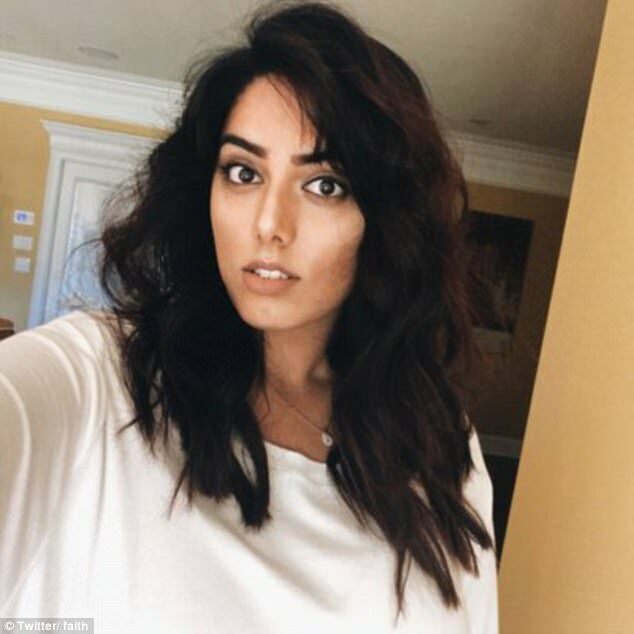 “I don’t want someone who’s gay to take my pictures,” she wrote. “It’s just not right. I’m against it and the last thing I need is to allow my 5 year old child to think that being gay is OK/right because I don’t want them to be influenced by people like you. Grace took a screenshot of the conversation and posted it on Twitter where it has since had more than 38,000 shares. However, her Twitter and personal Instagram accounts have since been made private. “A lady texted me asking to take her maternity photos then she decided to find another photographer because I’m gay,” she wrote. “RT & share this to show people that hatred & discrimination still exists & it NEEDS to stop.